Novo Nordisk US and Glooko announced today the launch of the new Cornerstones4Care (C4C) Powered by Glooko app, now available for free download on the Apple Store and Google Play. The C4C mobile app is the first jointly-branded tool stemming from the companies’ partnership, which was formalized in January. 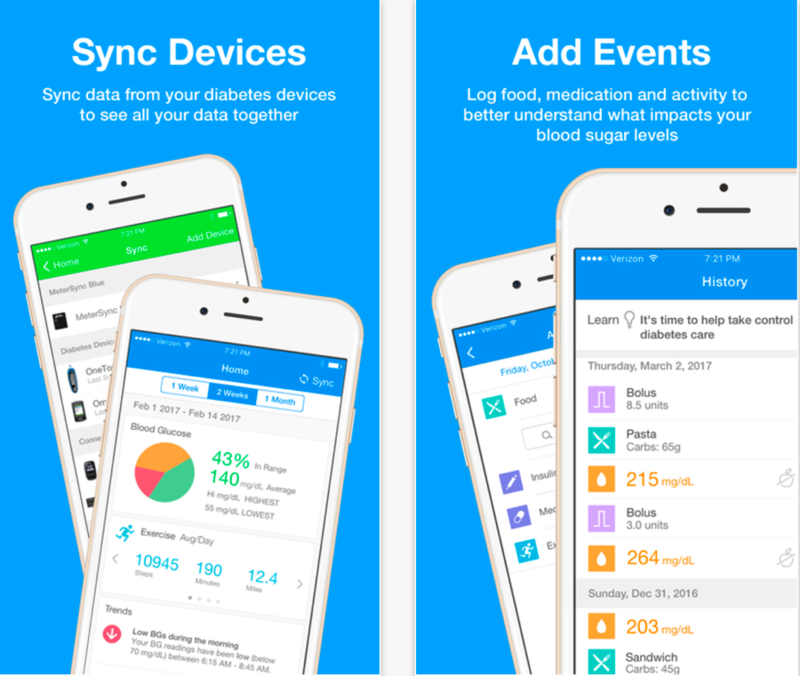 The app offers personalized diabetes support, including automated blood sugar and exercise tracking (the iTunes description lists over 50 sync-able BGM, insulin pumps, and CGM devices! ), trend recognition, charts and graphs, reminders, food and medication databases, and educational information on diet, exercise, and lifestyle choices – in order to create an account, a user simply has to have an existing (also free) Cornerstones4Care.com account. In the press release, Novo Nordisk Senior VP of Marketing Mr. David Moore intriguingly stated “this milestone is just the beginning,” referring to the fact that the “modular” app concept will initially enable tracking and some data insights, but will also serve as the framework for future jointly-developed tools in partnership with IBM Watson and Glooko. We assume that a future component of the app will add insulin dose titration and more robust insights, a goal of this collaboration (we wonder if the business model will change once more functionality is added to the app). As Glooko CEO Mr. Rick Altinger described back in January, the goal of the partnership is to build a “walled garden” within Glooko, with Novo Nordisk sharing content but leveraging all the advantages of Glooko’s interoperability and mobile expertise. The latest C4C app is a perfect example of this – as far as we can tell, Novo Nordisk’s Cornerstones4Care Learn resources have carried over, but with Glooko’s help they’re now packaged in an accessible app with lots of device interoperability and a very strong resemblance to Glooko’s own app (see screenshots). We think users will find the app much more convenient than the C4C website and we’re glad to see it’s free. Good to see this partnership moving along! This could also serve as a nice “free” version of Glooko’s app for patients that don’t have it through their clinic and don’t want to pay for the DTC version. We’ll be fascinated to watch the uptake. 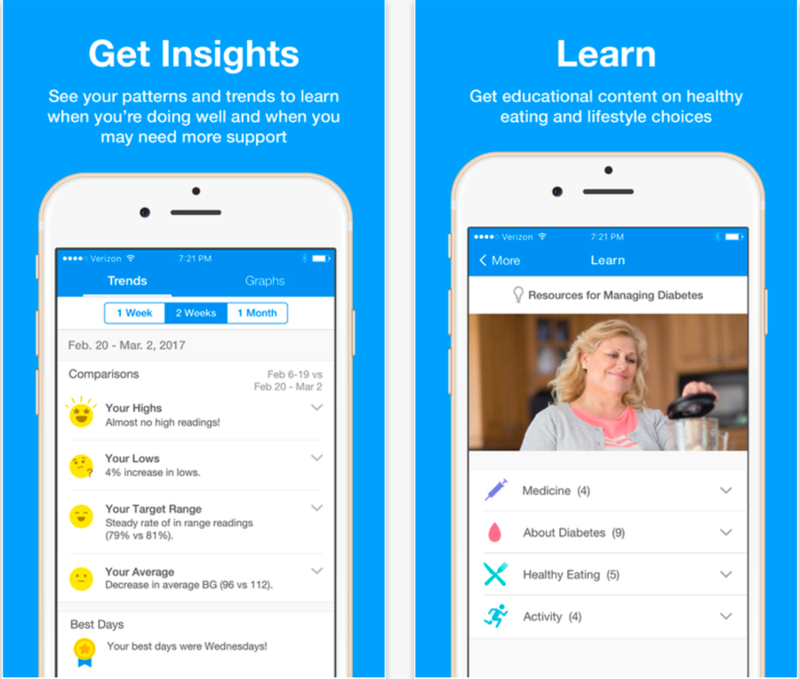 Glooko (along with IBM Watson) is also helping Novo Nordisk to enhance its Digital Health Platform – “a diabetes management system used to store an analyze data and deliver real-time feedback to people with diabetes and their caregivers.” This platform aims to kill two birds with one stone, allowing Novo Nordisk to develop proper guidance for patients and providers, while also generating evidence of cost-effectiveness. Nice! A Novo Nordisk representative informed us that the connected NovoPen 5 Plus has been made available in a limited volume in 10 participating Swedish clinics. The pen has built-in NFC function enabling providers to upload insulin usage data to their Glooko/Diasend NFC pad. They can then visualize blood glucose values versus insulin dosage, filling a gap in MDI therapy, to help them to better guide treatment. Novo Nordisk anticipates that findings from this pilot will inform future digital health offerings. We assume that the plan is for Glooko to build a paired smartphone app, eventually with dose titration guidance, for this product down the line.